If you enjoy spending long nights in the company of your friends, and you are looking for some great bar decorations that can make any home look cozy and cool, we can help. Because we know that finding such décor pieces can be a bit tricky, given that the Internet is filled with numerous similar products, we have decided to put together some ideas that you could browse through. So, start reading and pick the one that you like best! 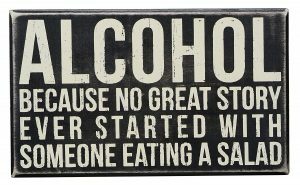 If you already own plenty of drinking gadgets, this sign might be the product that you are missing. The option is made of high-quality wood, and it features a funny alcohol-related message written in distressed paint. The model measures 10 x 6 inches, and it was created to stand on its own, but it can also be placed on a wall. As a plus, because it has a minimalist, black and white design, it will certainly fit into any room. You can buy this choice for yourself, or you could gift it to that friend of yours that always has a funny story about alcohol to tell. This next model is a bottle holder that was created to fit any home theme. This is possible because it has a trendy, even chic design. In total, it can fit up to six bottles. For stability, the holder comes provided with a weighted base that prevents it from tipping. So, you don’t have to fret about your prized wine bottles getting smashed. The holder is made of sturdy materials and, as a result, it can pass the test of time. Overall, this item has received favorable reviews from users, as most of them agreed that this model has the perfect size for the job. If you want to bring that pub-like atmosphere to your home, or you are simply trying to decorate a bar, check out this mirror distributed by Jack Daniel’s. 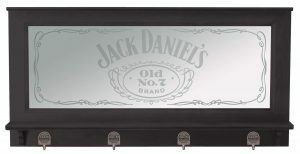 This choice features the classic Jack Daniel’s logo discretely written on the actual mirror, and it has a black lacquer wood frame that will undoubtedly catch your attention. What is more, the item includes four pewter coat hooks that were custom-tooled to say “Jack lives here”. The small display shelf that this product also incorporates can be used for storing small items such as glasses. In total, the mirror measures 28″W x 15″h x 3.5″D, and it can make a great addition to your living room. This box sign sold by Primitives by Kathy measures 6×2.5 inches, and it was designed to stay on its own, but it also can be hung. The model features the message “In Dog Beers, I’ve Only Had One” written in distress ink. 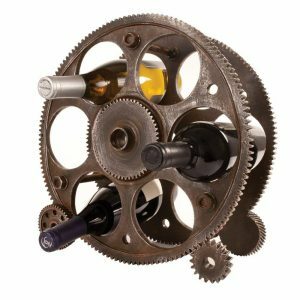 Moreover, this item is made of durable materials, and it is regarded as the perfect man cave gift. However, you might want to know that some of its current users consider it a tad small. At the time we did our research, most of its buyers were happy with what they got, and they warmly recommended it. Another product that you should not neglect is this martini bar. 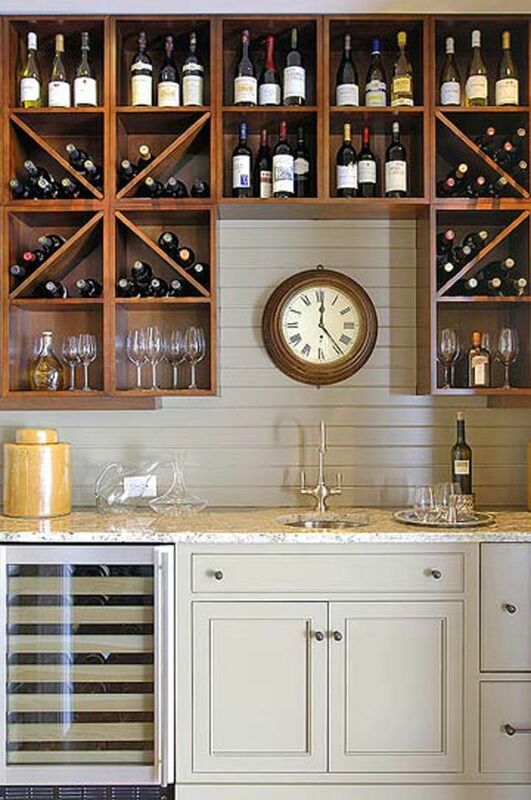 The choice has a tempered glass top and shelves, and it is considered a good choice for a bar counter. When shipped, the model does not come assembled. Thus, you will have to put it together by yourself. Yet, according to users, the bar is not that difficult to install, as it does come with the necessary instructions. Because it has a chrome plate steel metal accent, this product is very fancy-looking. 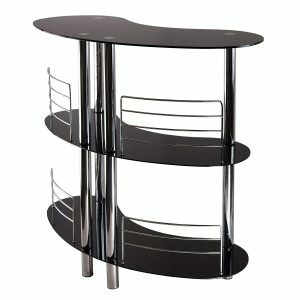 Also, given its curved shape, you can effortlessly place it in any room in your home. This unit is perfect to have around during get-togethers. If you want to have a clear floor where you can dance, but you also need a place where you can keep the drinks and the newly acquired bottle openers, this next storage system distributed by HyLoft should fit you. The model can hold up to 250 lbs. of evenly distributed weight, and it supplies its buyers with no less than 30 cubic feet of space. The height of the item can be adjusted from 17 to 28 inches, and it can fit most joist configurations. 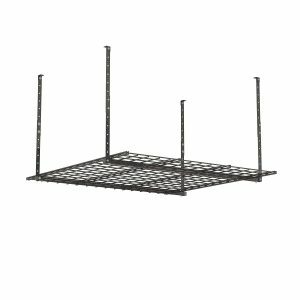 On top of that, this storage system also includes the necessary hardware and the instructions so that you don’t waste a lot of time assembling it. 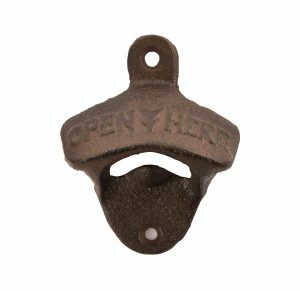 If you have a soft spot for practical collectibles, this bottle opener sold by Twine might stir your interest. The product has a classic design, as it includes a faux rust finish. However, the thing that makes it so interesting is that it can be mounted on a wall. Hence, you will not risk losing it. Given that this product is made of cast iron, you can rest assured knowing that it won’t break easily. Because it is so unique and authentic-looking, you can also offer this as a gift to your friend that is fascinated with the farmhouse lifestyle, as he/she will certainly appreciate it. 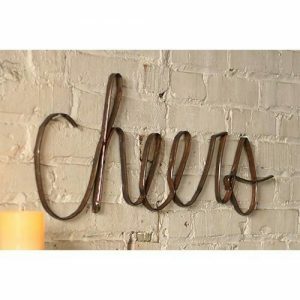 If you are interested in a new wall mounted sign for your bar area, you might want to consider this scrap metal “Cheers” piece. This model measures 30″ x 11,” and it is an excellent addition to any man cave or kitchen. Those that purchased it so far are happy with it because it looks simple and quite rustic. However, one user was not pleased with its faux rust finish and, as a result, he decided to paint it in a different color. This choice is small in size and, therefore, not very difficult to install without extra help. Another choice that you should check out is this vintage LEDs set by Enbrighten. 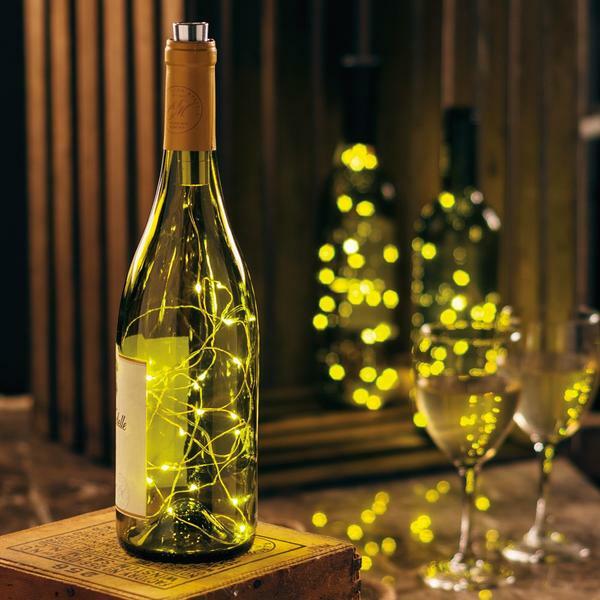 By setting these up, you can add the perfect ambiance for you fun get-togethers. What makes them so valuable is that these LEDs can be used both indoors and outdoors. 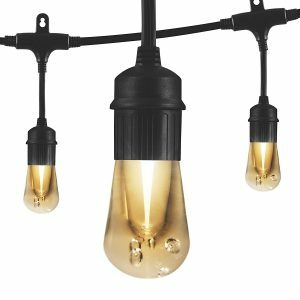 When shipped, you will receive 12 durable Edison-style bulbs that are impact-resistant. Because of this, they won’t break even if you step on them. In fact, this item has a commercial-grade construction as it was UL listed. Therefore, it can withstand year-round exposure. Because they are energy-efficient, these LED bulbs do not have to be replaced. If you are searching for a fancy-looking ice bucket, this option sold by Old Dutch might suit you. 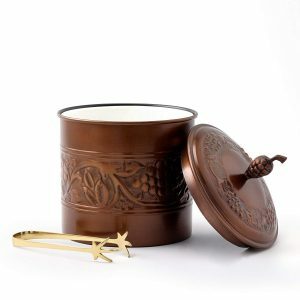 The bucket is made of steel, and it was copper-plated in order to give it an antique look. Additionally, the model was hand-embossed with a grapevine motif that adds to its classic design. This choice also has a removable liner and a draining plate that keeps the ice cold and dry at all times. A very practical and beautiful-looking set of brass tongs are included in the deal. This bucket has a total capacity of 2.5 Qt. Consequently, you can use it to store plenty of ice! If you’re about to decorate your new bar for the first time, it can be a pretty scary task. It can be very somewhat confusing to find a place to start learning about what is a proper bar decoration and what is not. Or to choose what you think will convey the idea you have in your head, of what it’s supposed to look like. To start with, you need to go back to the basics and ask yourself what the bar’s theme is and start building up from there. Think about chalkboards where you could write the special drinks you might make or the closing hours, or about an awesome wall decoration that can fit any style. Why not look for a personalized name plaque that you can put up for display? It is all about finding the common point between your personality and premium products that will add to the atmosphere you are trying to create. That will to make anyone that walks through your door happy and satisfied. There are a lot of items perfect for this tasks: the multipurpose chalkboards – especially if you want to get creative, you can opt for a detailed painting to ornate your walls or for items that are a bit more personalized and unique to your bar. Think about the theme and let it guide you through a market overflowing with options. If you made up your mind regarding what types of objects you might want, there’s still are a few points you need to check, bar decoration reviews say. Make sure to educate yourself regarding the materials the models are made of, how beautiful they look and how they’re going to help you fulfill your vision. When it comes to the design of the best bar decorations, few things matter as much. The products have to look high-class, sturdy and premium, to impress your customers. If you have items in your bar that look expensive, then people are going to know you care about it and that is a passion. And this will persuade them to care about it too. They will know that if you invest a lot in the ornaments, then for sure you will spend as much on the ingredients. Maybe go for models that have clean, simple lines and that don’t overstimulate they eyes, and let your drinks do the talking. A well-constructed object should be matched by a thoughtful style that won’t look cheap. With the help of the best bar decor that is good looking, you can get your bar to a whole new level and even give it a hipsterish vibe, that will convince people to come back again and again, because they will feel welcomed and free to unwind. When you have a tight budget for such an endeavor, you might want to prioritize the items you want. And although it might be scary, try to go for the more expensive products at first, because most of the time they are better constructed and with more premium materials. This way you will ensure the models have a longer lifespan and you won’t have to replace them all the time. But if you need a lot of decorations, they try to find a balance between your budget, the items you need and their prices. Invest more in things that stand out and less on the ones that can be easily replaced or what we call a cheap bar decor. But one area where you should never make compromises is when it comes to the sign that has the name of the bar on it, wherever you may want to hang it. That will be the item people will most associate your bar with, and it is essential that you go for the one that honestly speaks to your heart. The truth is, a lot of people are probably going to walk through your door and use your decorations. So materials are vital if you want something that will resist that kind of heavy-use and that won’t get damaged in the first few week you had it. The best choices for you to consider when youțre looking for bar decor for sale to use in such public spaces are metal, wood, and plastic. These are the materials that will pass all the tests, and which are going to give you great value for your money. Each of these options will be able to survive a high volume of customers. Keep that in a draw in your mind whenever you want to buy a one of a kind item, or something that people will fall in love with while enjoying a drink at your bar. You won’t be able to replace that, so make sure it is made of highly resistant elements. And a well-built product will also mean that it won’t break and hurt your customers. The decor is what sets bars apart from each other. You might have the most fabulous cocktails or the best music, but if the place where your guest are being served is not inviting, well designed and filled with high-quality items, then you might not make them come back and give you another chance. All the new office decorations are going to help you find success. So go for well-made products. Go for the ones that are not overly colorful or shiny and choose the ones that are comfortable to look at. This way you get the bonus of an ensured survival even in the hands of tipsy partygoers. A well-chosen ornament is the best way to create history with the people you serve. And ultimately, make sure that every model you purchase is made from non-toxic materials that are allergen and BPA free. Safety is the most significant thing when it comes to a bar that takes itself seriously, and you should make no exceptions to guarantee that. So now you have all the ingredients for a completely smooth experience.